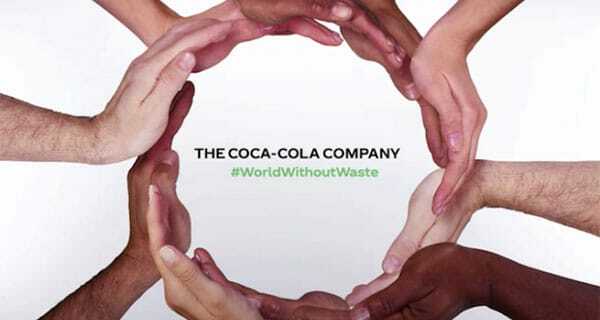 The Coca-Cola Company and Coca-Cola Beverages Africa plan to collect and recycle 100% of packaging by 2030 in bid to tackle plastic pollution. Jacques Vermeulen, CEO of Coca-Cola Beverages Africa. It has reduced food waste and packaging costs – contributing to food security – while enabling the convenience lifestyle of the modern working family. A 2017 study published in the journal Science Advances found that by 2015, 8.3-billion tons of plastic had been produced globally since 1950. Of this, 6.4-billion tons had become waste with only 9% recycled, 12% incinerated and 79% accumulated in landfills or the natural environment. This is why we are investing in innovative design, collection and recycling models and partnerships, to turn our bottles into valuable resources that can drive a circular economy. Tackling the challenge of post-consumer packaging begins with the packaging itself. At CCBA, we’re using more recycled content, reducing the amount of plastic in our bottles and using plant-based resins. Back in 2004, The Coca-Cola Company and its SA bottling partners formed Petco, a voluntary initiative to drive the post-consumer recycling of polyethylene terephthalate (PET), which has become a standard bearer on the continent. It has helped build a sustainable recycling industry that has seen SA’s PET recycling rates accelerate from 16% in 2005 to 66% in 2018, on par with the EU. Thanks to this initiative, more than 2-billion PET bottles were collected and recycled in SA in 2017 alone. This injected R966m into the economy and helped generate opportunities for 64,000 people, creating the building blocks for a self-sustaining recycling value chain. In June 2018, in partnership with the Coca-Cola Company and Kenya Association of Manufacturers Petco in Kenya was launched as an industry extended producer responsibility scheme leveraging the learnings from SA. In Uganda, working with the government and community stakeholders, Plastics Recycling Industries, a CCBA subsidiary, extended its recycling operations to the town of Masaka. In Namibia, Mozambique, Zambia, Botswana and SA we have contracted with local collectors and recyclers to accelerate collection and recycling. And, most recently, Voltic, our bottled water business in Ghana, launched #Irecycle in partnership with Total Petroleum Ghana and Coliba, a local plastic waste aggregator that incentivises waste pickers to collect PET post-consumer waste. In a rare joint appearance, the chief executives of the world’s largest beverage companies discuss their efforts to reduce plastic use. PepsiCo CEO Ramon Laguarta and Coca-Cola CEO James Quincey are joined by the CEO of plastic-maker Dow Chemical, Jim Fitterling, at the World Economic Forum panel on Jan 24, 2019, about transforming the plastics economy.